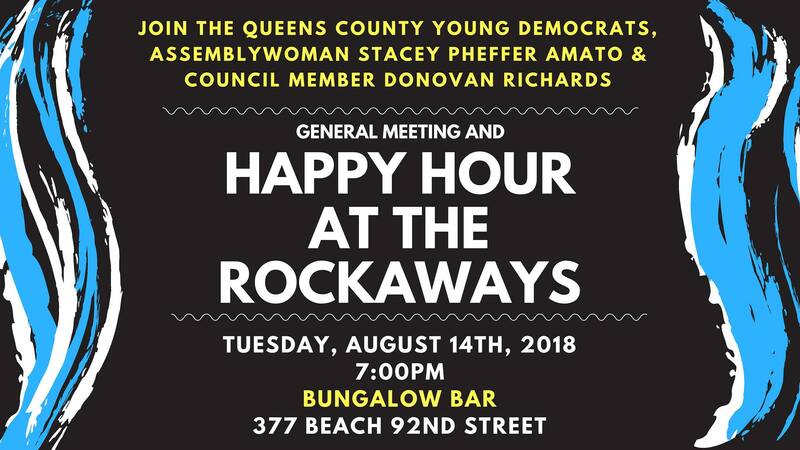 Surf's up for Queens County Young Democrats next General Meeting on Thursday, August 14th at 7pm at Bunaglow Bar in Rockaway Beach (377 Beach 92nd Street). Join Assembly Member Stacey Pheffer Amato and Council Member Donovan Richards for happy hour overlooking Jamaica Bay. Every contribution helps sustain our party and our mission. Keep up with Queens Dems.